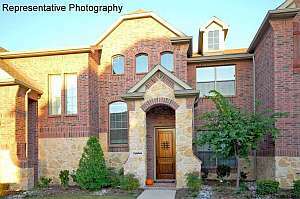 Plano TX Townhomes For Sale – Beautiful new construction on premium lot with stone elevation. Well-appointed kitchen with upgraded granite, maple glazed cabinets, and stainless appliances. Designer touches include art niche, bull nose corners, and iron balusters. Enclosed patio with gas for BBQ. Energy Star certified. Low maintenance lifestyle with full service HOA. Enjoy community pool, parks, and playground. Easy access to Dallas North Tollway and 121. Ready in December.